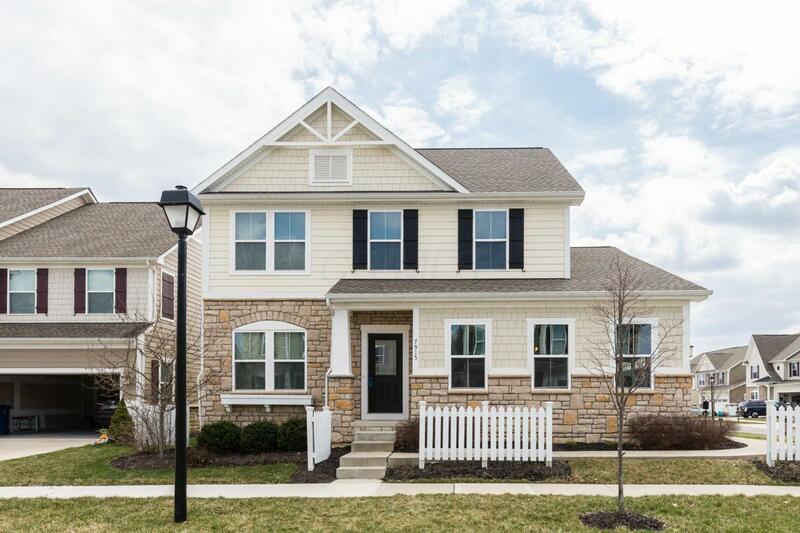 This is a stunning 3 bedroom, 3.5 bath home located in the Dublin School District. The home has been freshly painted in a neutral tone to match anyone's decor. The home offers a formal living area. The kitchen is spacious w/ 42'' cabinets, walk in pantry, stainless stain appliances and granite counter tops. The kitchen over looks the family room that offers beautiful hard wood floors and a gas fireplace. The basement is finished and adds an additional 400 sq ft of entertaining space. There is a full bathroom and is already plumbed for a bar area. The second floor has a loft space that makes a great office space or play area. The master bedroom has a walk in closet and on suite. This home has been well maintained and is ready to be moved into. It's just waiting for you. Won't last!